This was the first lads’ trip of the year; this time the trio who visited Luxembourg and Istanbul together this time set sail for Warsaw. 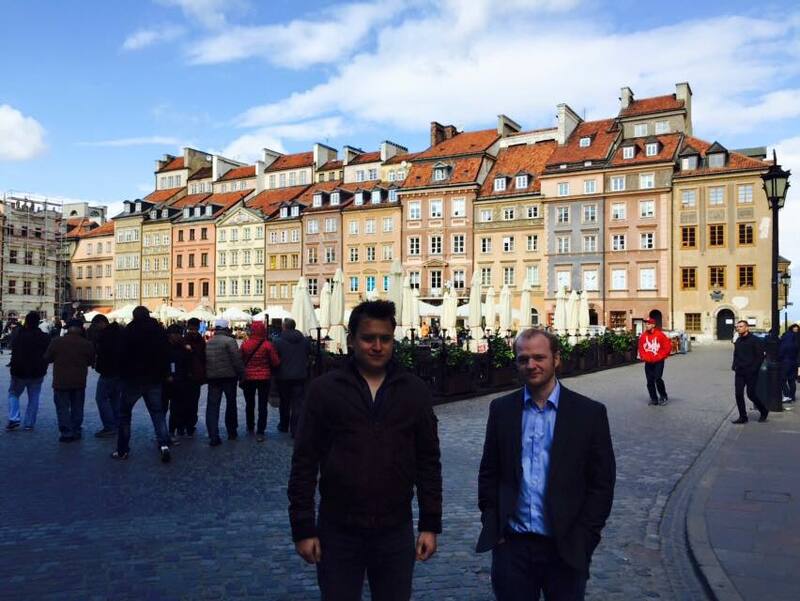 Ross, Nowell and I had some time ago booked ourselves a two night break in the capital of Poland, ostensibly for the purpose of attending the qualifying stages of the 17th International Chopin Piano Competition. Held every five years, it is one of the few major musical competitions solely to feature the work of one composer. Nowell and I are both quite into Chopin, so this was an opportunity not to be missed – to hear Chopin played by professional pianists in the composer’s home country of Poland. 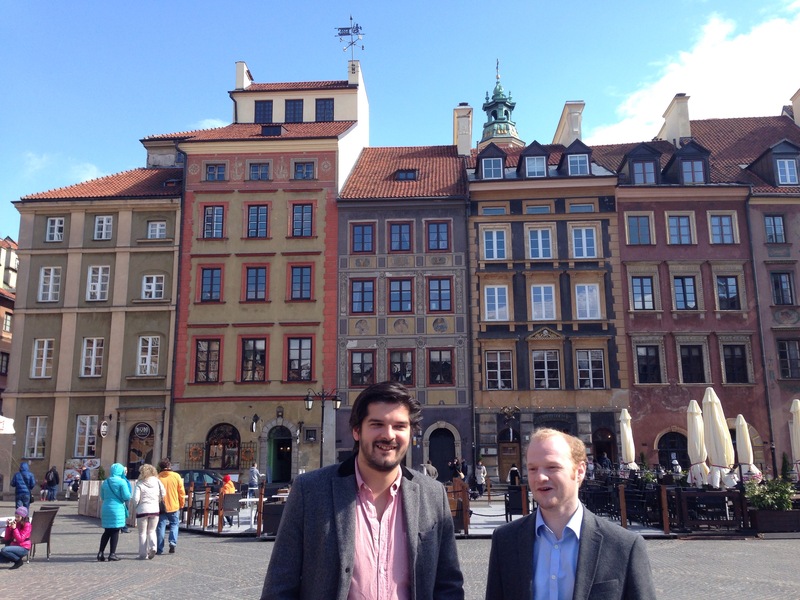 We flew out on LOT Polish Airlines and began to familiarise ourselves with the local brew – Żywiec – on the plane. It’s not particularly exotic to us since thanks to all of the Polish immigrants to Britain you can buy it in any corner shop now. 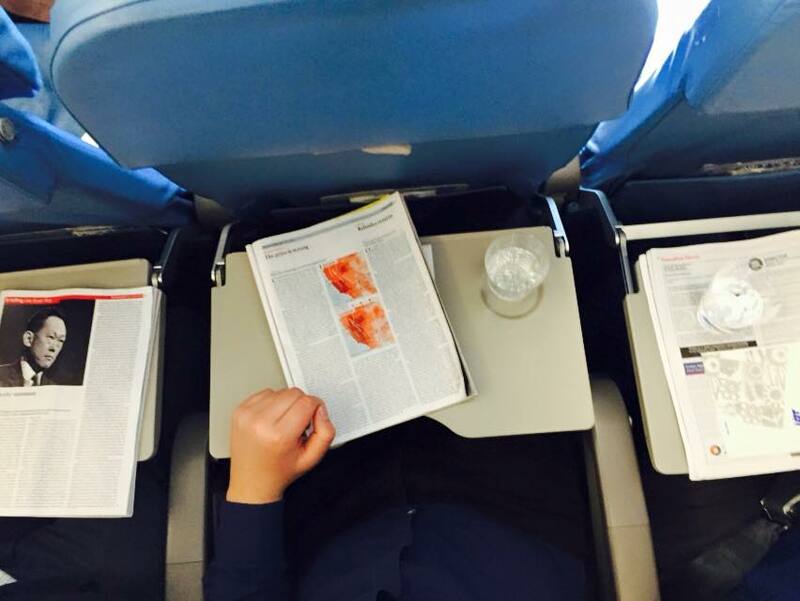 The picture above shows a typical scene with each of us reading our Economist. At Heathrow we had eaten a fried breakfast at The Perfectionist’s Cafe, a Heston Blumenthal venture. I thought it was very good – particularly the black pudding – and the Worcester sauce pippettes that come with the Bloody Maries are nice idea. Getting into town from the appropriately-named Chopin Airport was easy, and we emerged into the sunlight from Centralna railway station to find the cityscape dominated by the imposing Palace of Culture and Science – which Wikipedia describes as a mixture of Stalinist architecture and American art deco. After drinking some vodka in our hotel room overlooking the city we went out for food and some more drinks, where Nowell was briefly defeated by a local tipple known as ‘U-boot’ – a pint of beer with a shot of vodka dropped into it! He soon regained his spirit, though, and saw it through to the early hours. The next morning we headed out for a bit of culture. Ross led us to the Zachęta National Gallery of Art, which is an impressive neoclassical building with a three-dimensional frieze in the tympanum that spills out of its confines toward the viewer. Unfortunately the inside doesn’t do it justice, it being full of modern art under exhibition titles that I wouldn’t dream of repeating on this family-friendly blog. The next day we sought out the National Museum in Warsaw, which is the one you will want to visit if you are into more traditional art. After an absurdly long queue that taught us two lessons (the Polish are a cultured people, into their art but also chronically inefficient at selling tickets) we were able to get in and wander around the large collection of gruesome medieval altarpieces and wooden carvings, as well as more modern works by relatively obscure and local artists. 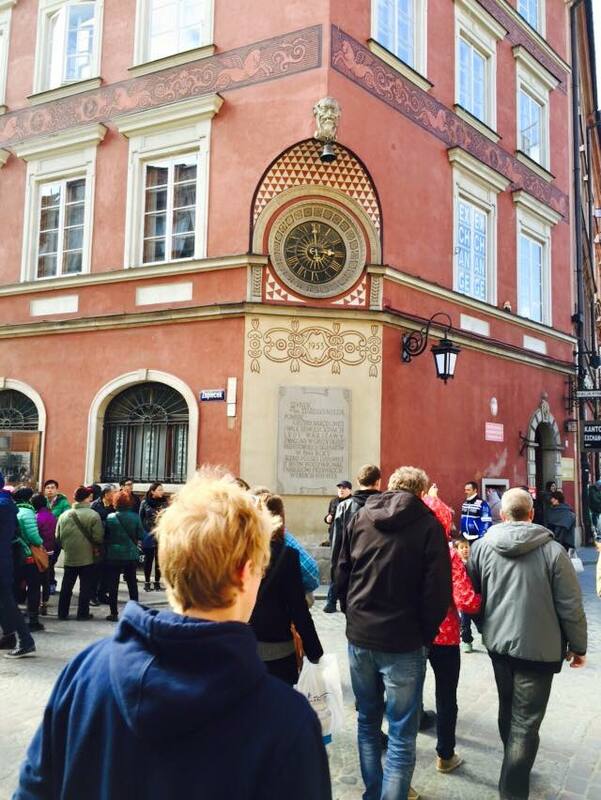 As for the World Heritage Site, the Historic Centre of Warsaw is a pretty small section of the centre of the city that showcases what the area was like prior to its destruction by Nazi Germany in the Second World War. Over 85% of the city’s buildings were destroyed in the war, as depicted movingly in the Roman Polanski film The Pianist, which I urge all to see. It was in response to the Warsaw Uprising of 1944 that the Germans took the decision to annihilate the city, destroying over 700 years of historical buildings ranging from the thirteenth to the twentieth century. The remarkable thing about what the people of Poland achieved in five years after the war was that they followed historical plans and imagery in great detail, enabling them to rebuild the city very much as it had been. Walking around the narrow streets of the old quarter it is quite easy to forget that it is largely artificial, though the occasional surviving piece of stonework riddled with bullet holes serves to remind the visitor of the terrible things that happened here 70 years ago. A centrepiece of the rebuilt centre is Castle Square, below, where Bill Clinton gave a speech welcoming Poland into NATO in 1997. 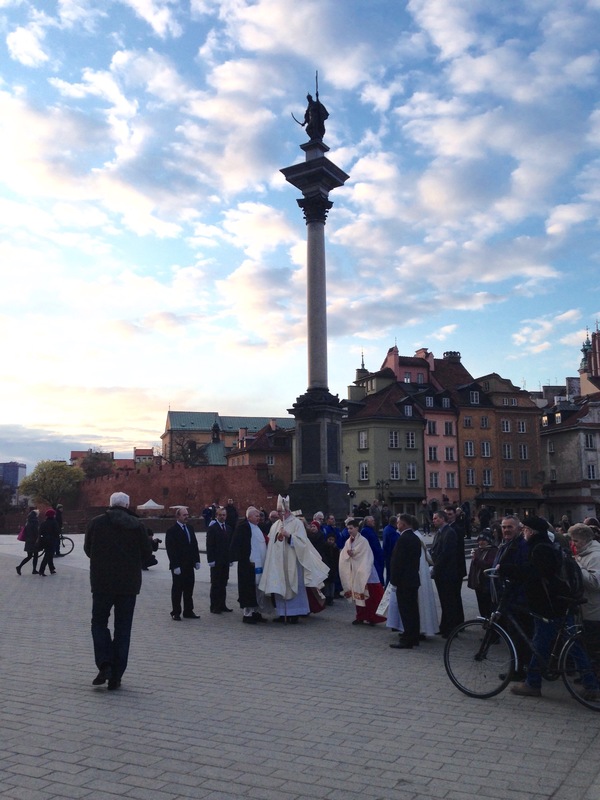 Here we came across an outdoor Orthodox church ceremony beside Sigismund’s Column (the Polish equivalent of our Nelson’s Column, I guess). 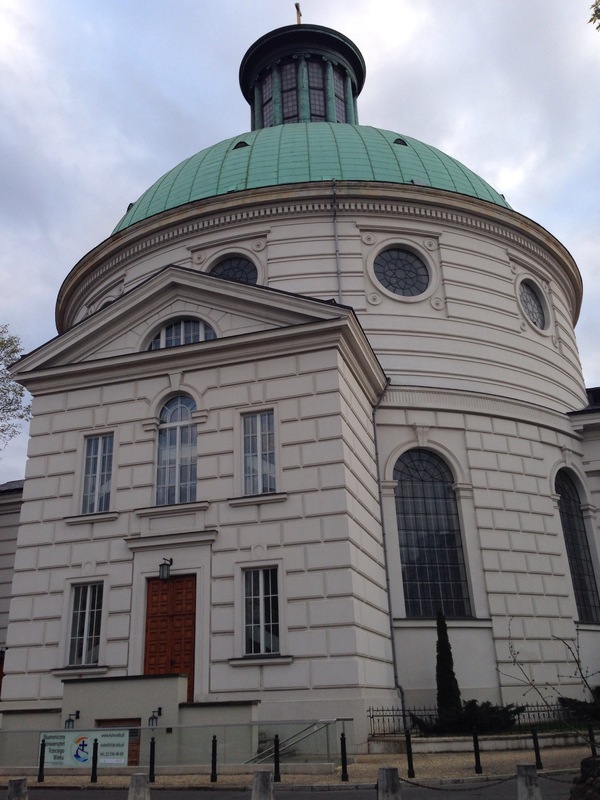 Below is the Church of the Holy Trinity, where Chopin himself used to perform. 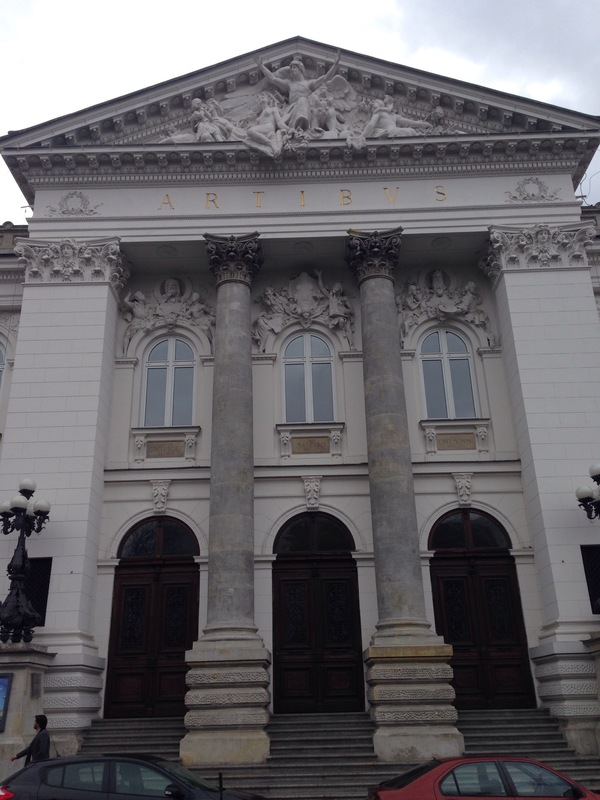 The piano competition this year is being held at the Warsaw Philharmonic, which we arrived at in the nick of time. They must have been running the contestants in alphabetical order, because we saw three performers whose surnames all began with ‘O’: Arisa Onoda, Georgijs Osokins and Misora Ozaki. They each performed six pieces, most of which I didn’t know, and were graded by a panel of judges seated behind us. At the end of a two week slog, the judges went on to select 84 participants to take part in the competition proper, to be held in October of this year. 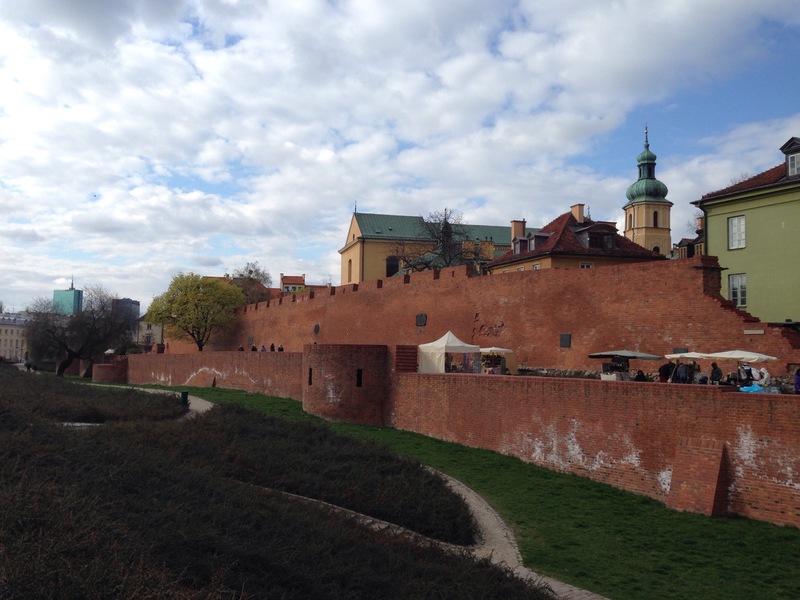 Food-wise, we weren’t bowled over by what we ate in Poland. I didn’t manage to find any PDO/PGI foods anywhere, though we surely ate some traditional foods: cabbage and nettle soup, pierogi dumplings, pork knuckle, etc, of which I liked the soup best. We flew home on a rickety old 737, where Nowell and I bade Ross farewell before commencing our long coach ride back to Bristol. There are 13 more WHSs in Poland, so there will be plenty of going back to do, taking advantage of Ryanair’s extensive route network into secondary Polish cities with unpronounceable names – like Bydgoszcz (for the Medieval Town of Toruń) and Rzeszow (for the Wooden Churches of Southern Małopolska). 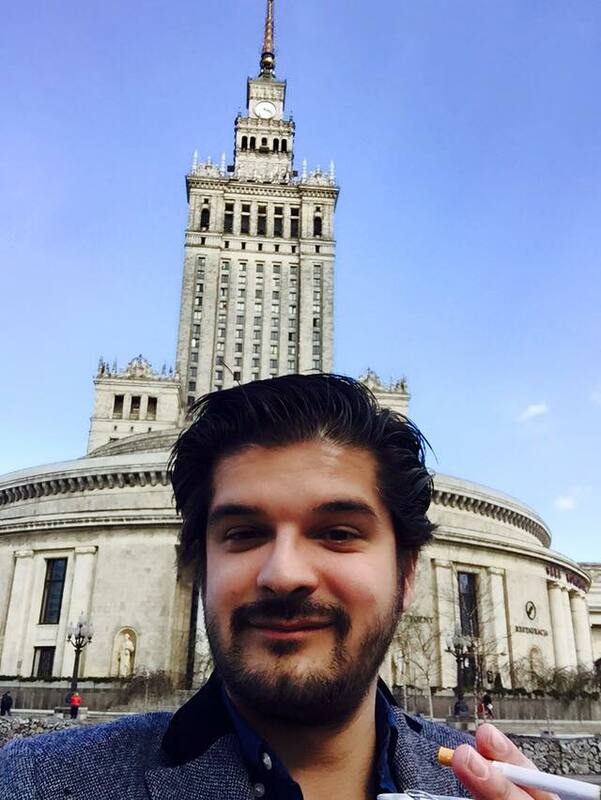 This entry was posted in 2015, Poland and tagged europe, nowell, Poland, Ross, Tom on 28 April, 2015 by Tom Livesey.